Last week I made the proclamation that no new paint would be coming into the workshop until all the old cans were empty. My sister asked me to paint a handcrafted tiered table her husband recently inherited and she wanted it painted black. There was only one problem, I didn't have any black paint. 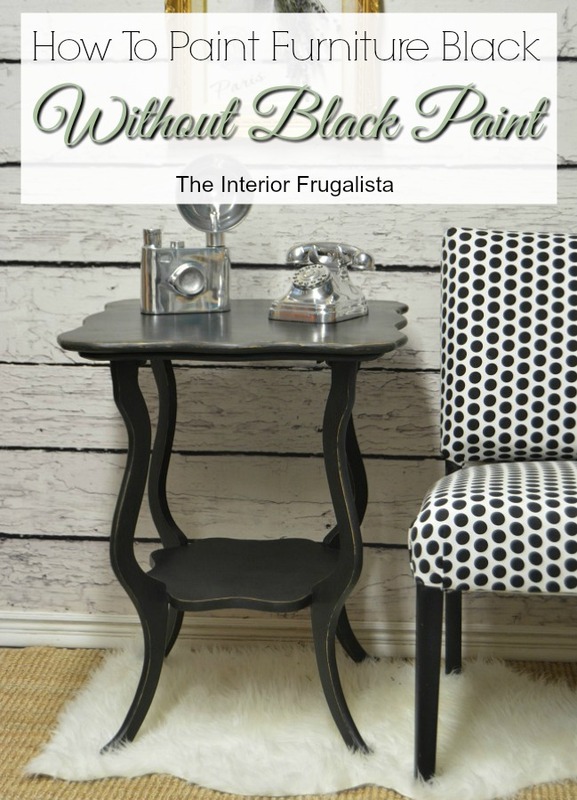 Determined to make it happen, in this post I'm going to share how to paint furniture black when you don't have any black paint. I fell in love with the scalloped tier and curvy legs. But especially the hand hewn edge along the top. 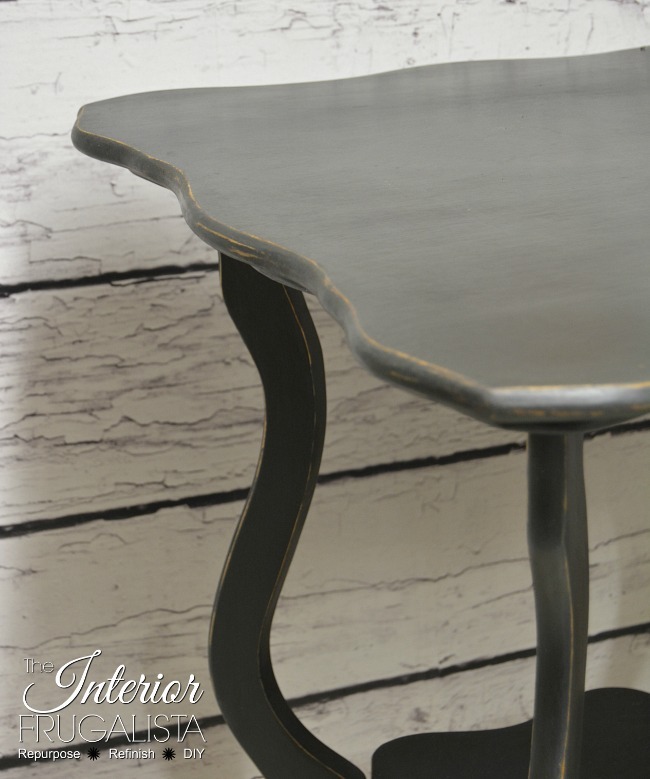 The table had a lacquer finish and so in order to give the paint some bite, I roughed up the finish with a mouse sander and 80-grit sanding pad. Next, I gave the table a good scrub with vinegar and water. 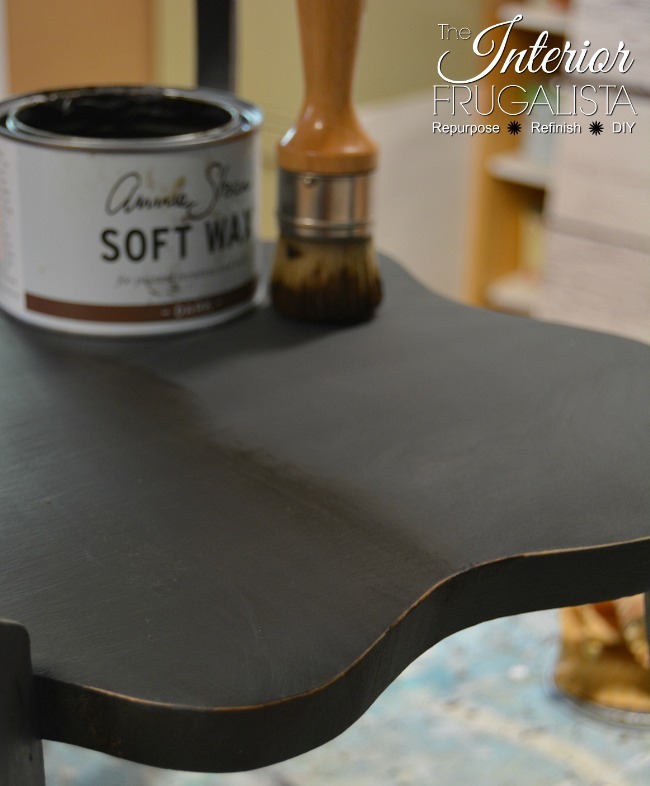 In my stash was half a can of Annie Sloan Chalk Paint™ in the color Graphite, a dark charcoal gray. I tell ya before I applied the first brush stroke, I looked upward towards the heavens and asked out loud to whoever handcrafted this table (assuming they've passed) to please forgive me for what I was about to do. I painted two thin coats, meaning I added a bit of water to a milk-like consistency and sanded with 220-grit sandpaper between coats. I ran 220-grit sandpaper along the edges allowing the paint to remove where it may without forcing the distressing. 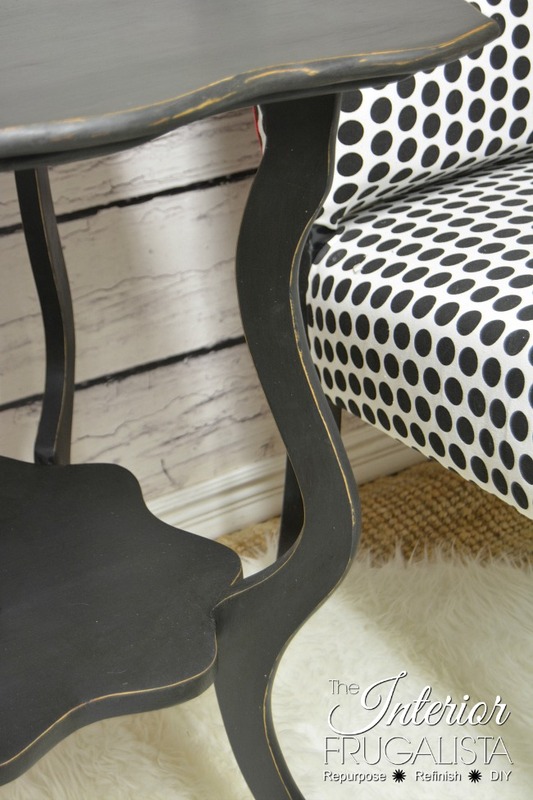 I love the contrast between the black finish and blonde wood peeking through. It's actually pretty simple to do. ...apply Dark Wax. With a small wax brush in circular motions (like applying hand cream) with and against the grain of the wood and waited about 30-minutes. It was a beautiful day and if you follow me on Instagram, you may have seen the photo I posted of me relaxing on the deck mid-day. Why sit in a dark basement workshop watching wax dry when you can be enjoying 30°C (86°F) temperatures outside. I wiped the excess wax with a lint free rag. I should note a couple of things. Normally you apply a coat of clear wax first before applying dark wax. Also, with dark wax, you work in manageable sections and wipe away excess wax immediately. I wanted the wax to be as dark as possible and so waited 30-minutes before wiping away the excess. I wouldn't wait any longer than this or it will be difficult to remove - as it was it took a bit of elbow grease. Once the excess wax was removed, I buffed the wax using my go-to horsehair shoe brush to a matte finish. Like shoes, the more you buff, the shiner the finish. One would assume this table was painted black, don't you think? Of course, there is always the option to buy some black paint but if you're in a pinch, this trick will get the job done. 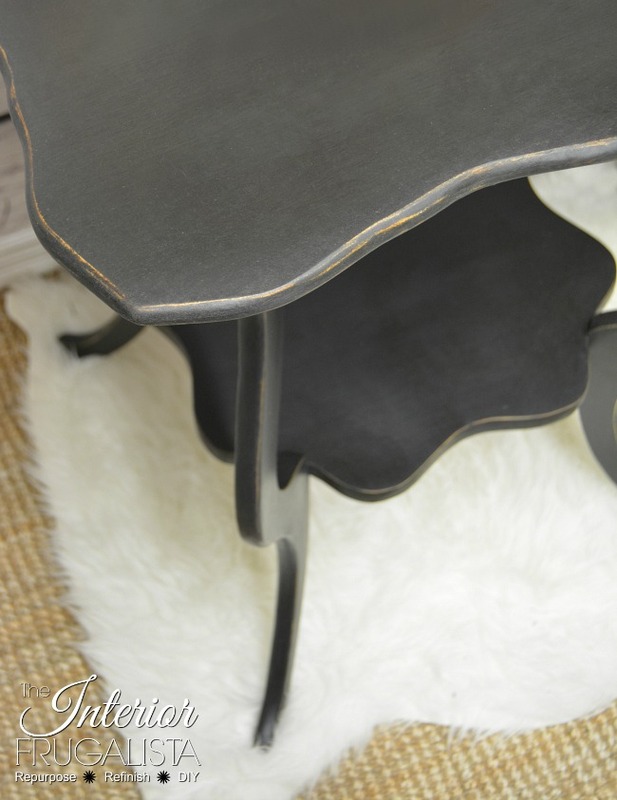 I quite like black painted furniture and have done a few makeovers using black paint. Like this Black Map CoffeeTable and this Black Waterfall Hutch. The hutch is currently for sale in my booth at the Blue Jar Antique Mall for any locals that may be interested. Looks fabulous, Marie! 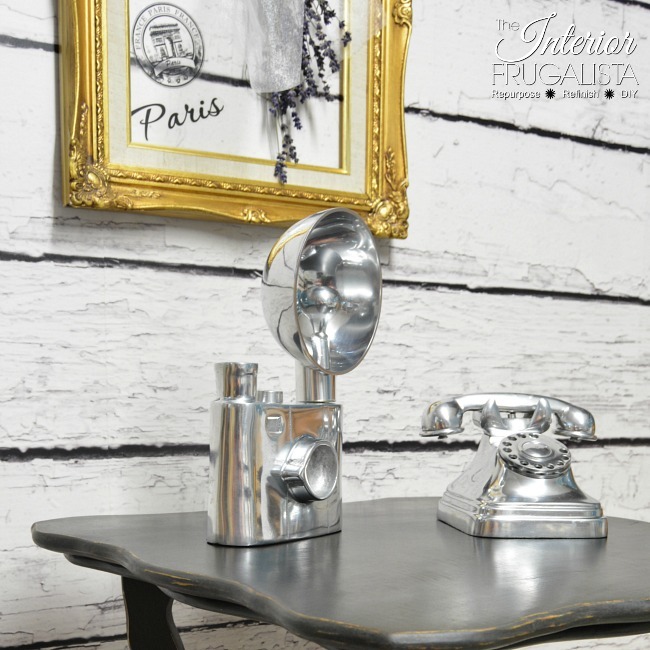 Annie Sloan's dark wax is a winner! And you're awesome in transforming this table! Thank you so much Gail! 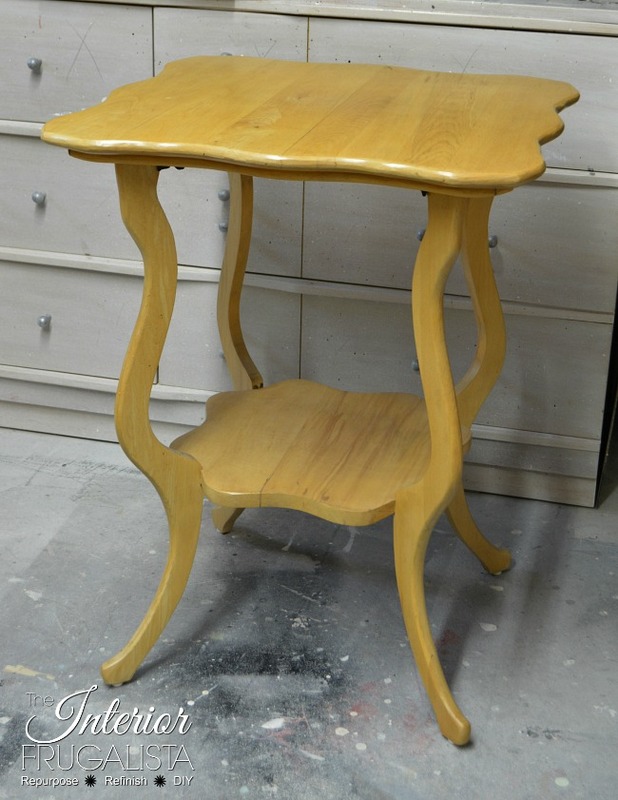 I was thrilled with the results of this lovely handmade table. 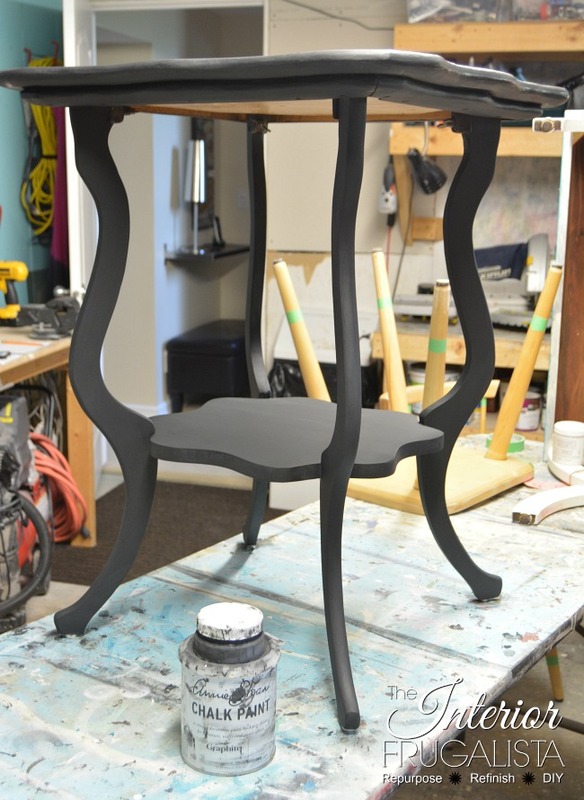 Any dark brown or black wax will turn dark grey chalk paint black. I love playing with color waxes to deepen or soften chalk paint colors.